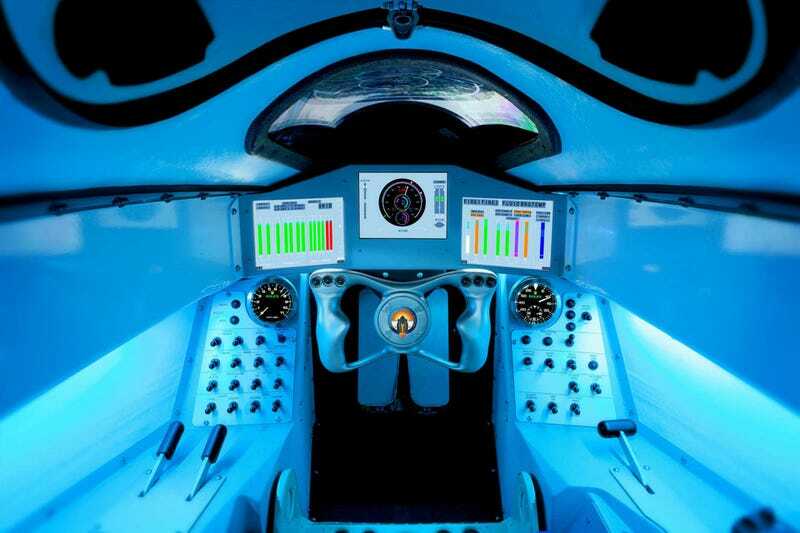 This awesomeness—captured by photographer Stefan Marjoram—is the cockpit of the Bloodhound Supersonic Car, designed to set a new world land speed record of—at least!—1,000 miles per hour (1,609.34 km/h) in South Africa. Its pilot, Andy Green, explains how the instruments work in this video tour. An amazing machine. Can't wait to see it in action in 2015.